Disney’s Movie Frozen has made waves in different countries, including to where I am living right now. Many children, and young at hearts, loved it, including my nieces. And eventhough it has been almost 2 years ago since the movie was out, it still keeps trending. In fact, my nieces watched it nth time already and not getting tired of it. 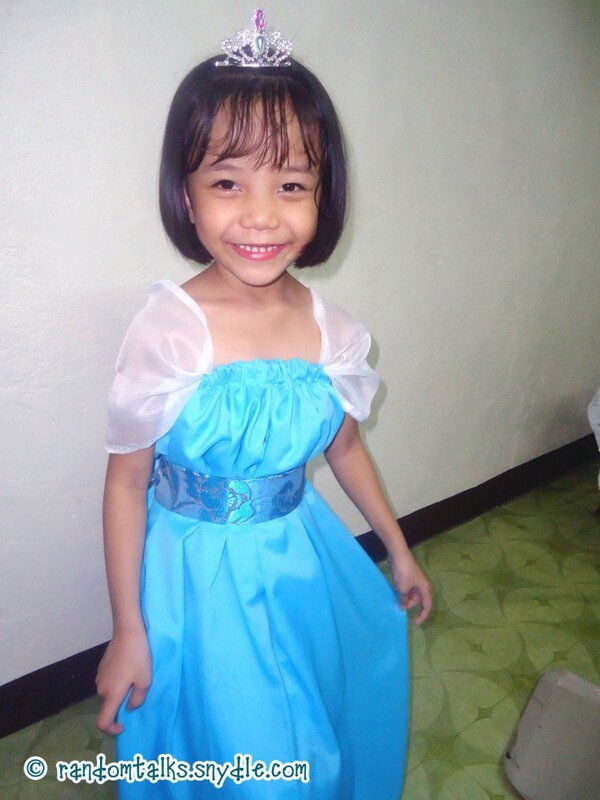 And this December, she was about to celebrate her 7th birthday. She doesn’t want any gifts. 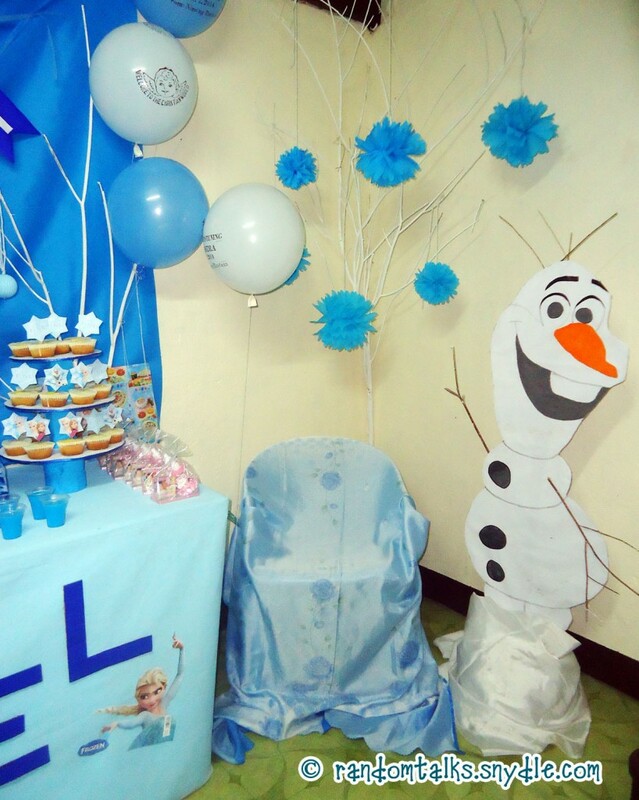 She just want a Frozen-themed birthday party. 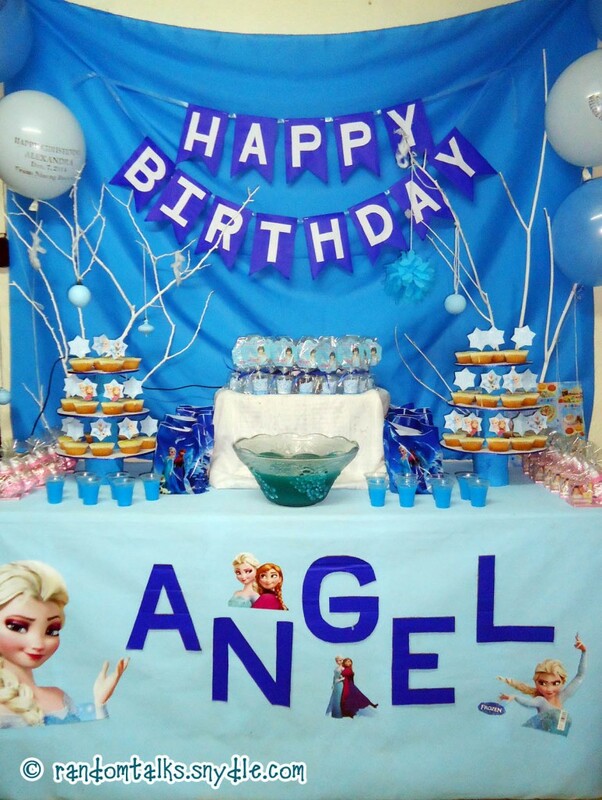 Well, her mom couldn’t afford it, so do I… Elsa gown, Frozen-themed birthday party decors, foods, not to mention the favors and other party supplies. 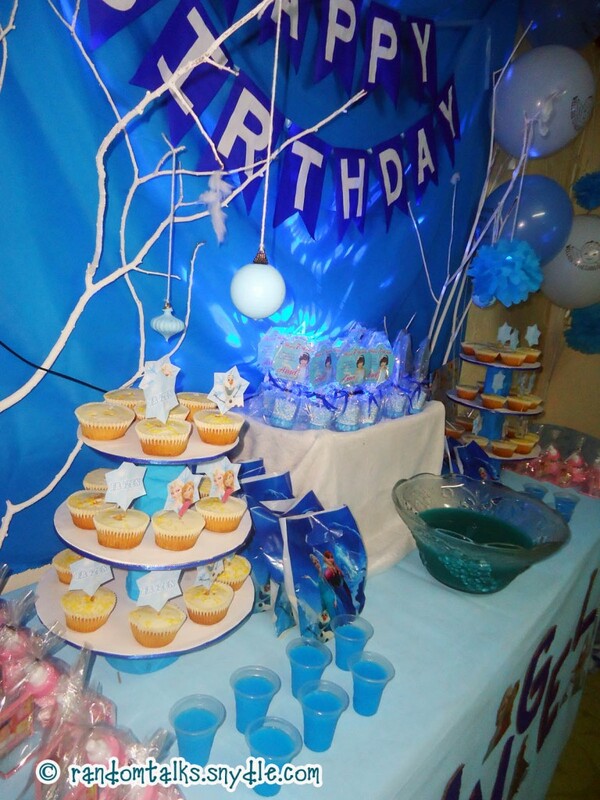 Since I am a person who likes to indulge creativity once in a while, I thought I could pull off a Frozen birthday party without spending that much. 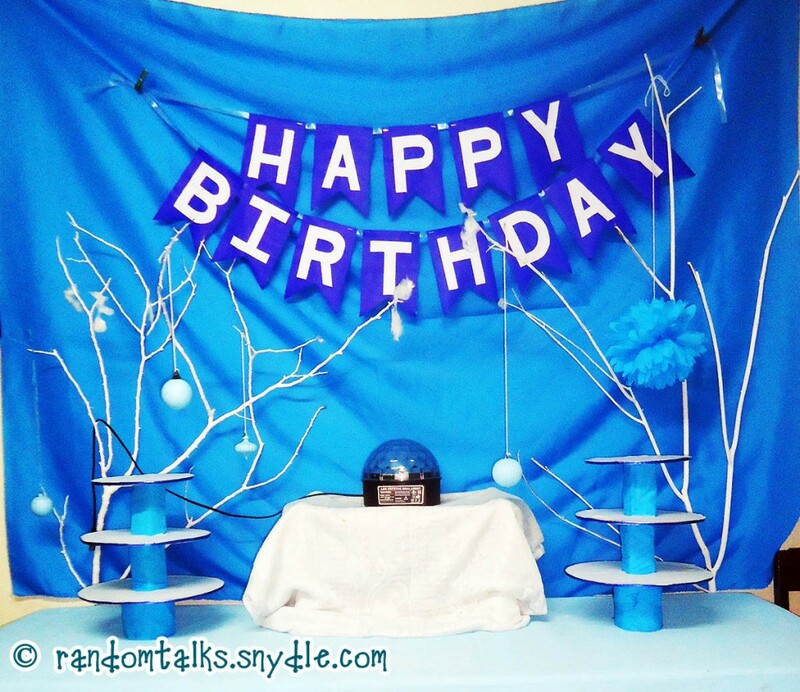 I thought about DIY Frozen birthday party. 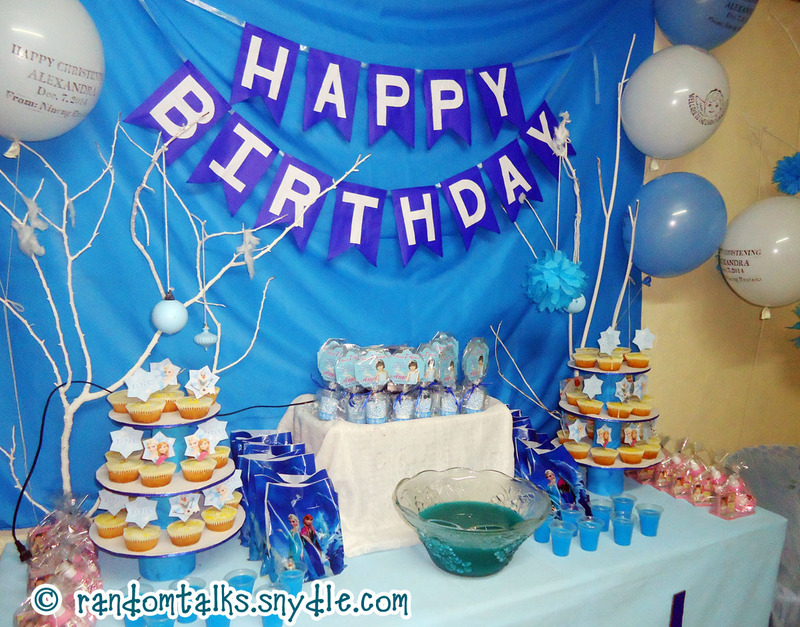 It’s 2 weeks before the birthday that I decided to go ahead and start with the preparations for the Frozen birthday party. Since it’s a little bit short in time, since that’s not the only thing I should do (I have to work too), I just grabbed anything that was available at that moment. We started putting up the decorations we made. From the white branches, up to the hanging pom-poms. All of these were made from the scratch. 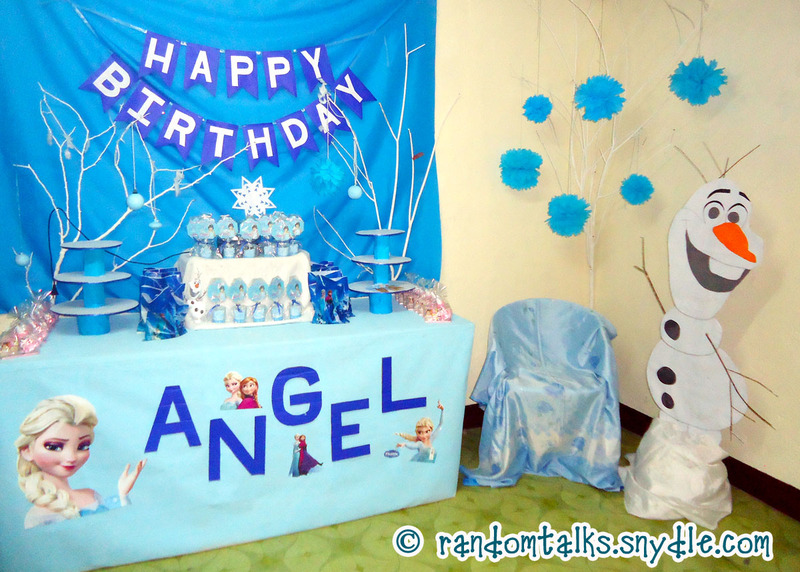 I spent most of the time watching Youtube videos on making those Frozen-inspired party decorations. 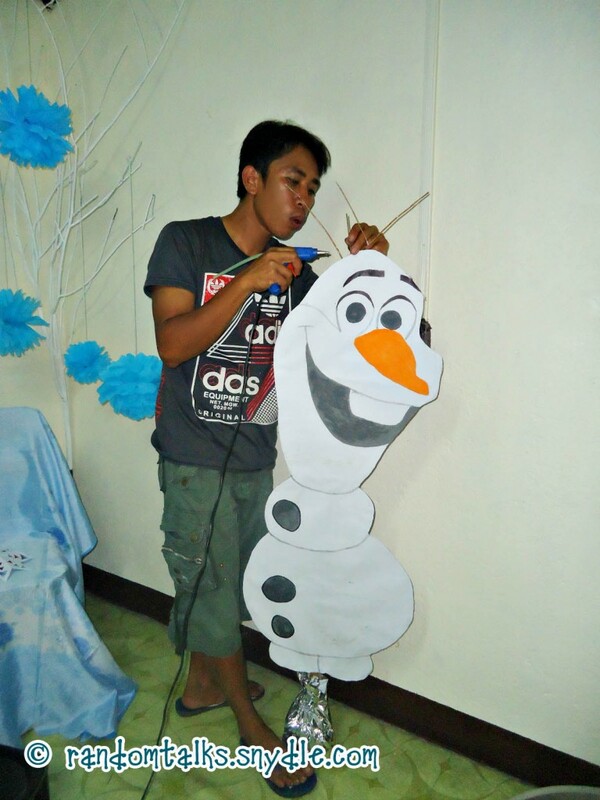 My eldest brother is quite good in graphic and designing so I asked him to make me a life-sized Olaf. This Olaf served as our decorations in our mini photobooth. 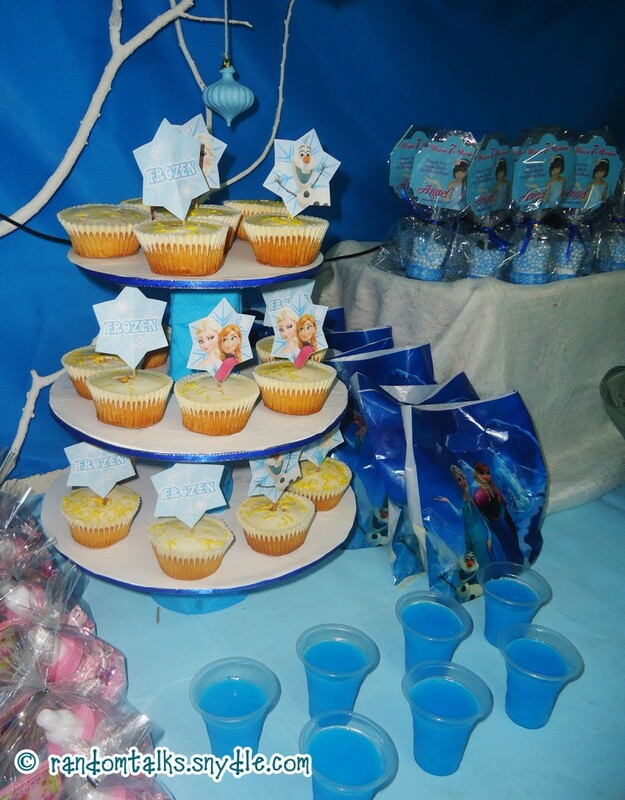 I asked around for the Frozen-inspired birthday party favors but since they are “in”, they are actually expensive. So I thought I’ll just make my own. 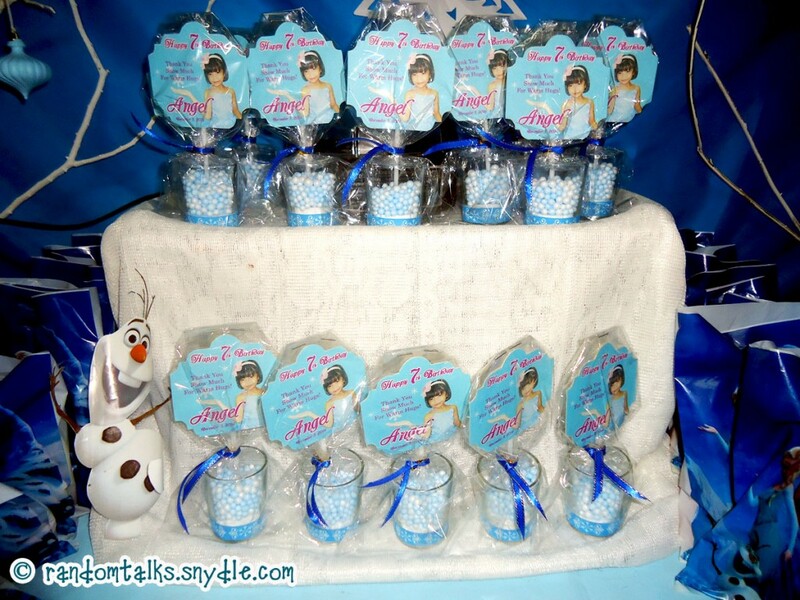 Although this may not really a Frozen themed party favors, the colors come out just right. I bought some clear shot glasses, styro balls, ribbons and print a favor tags and put them together. And voila! 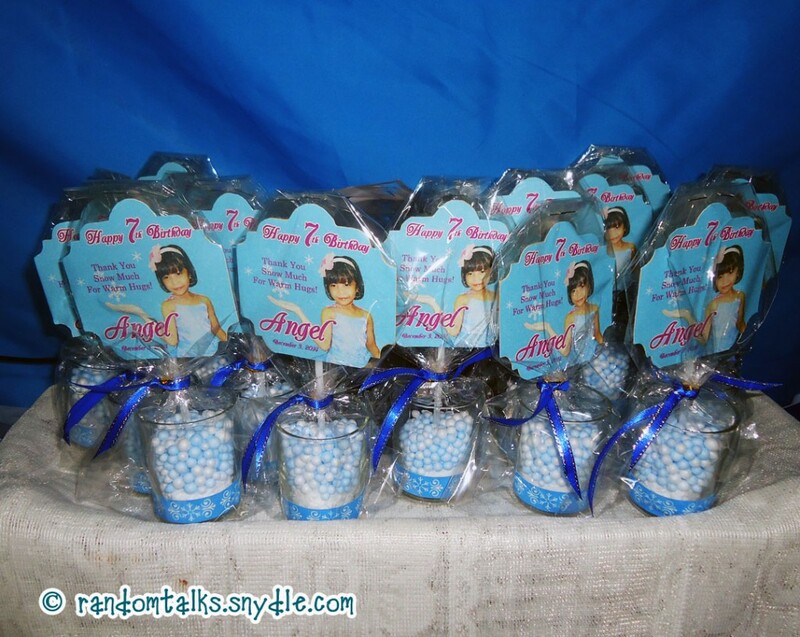 Here’s our party favor! Next was the gown. 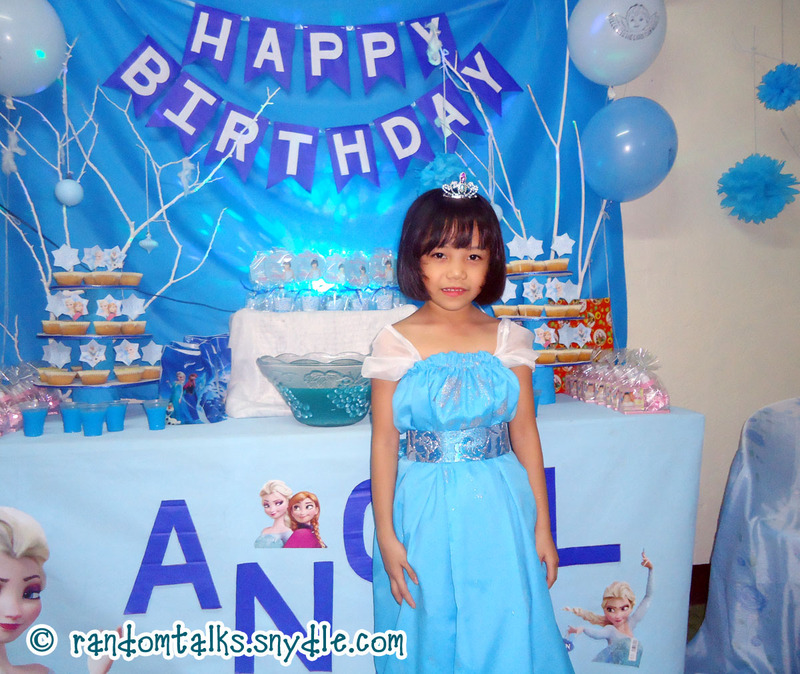 I also check some dress shops and gown rentals for Elsa-inspired gown. Although I expected that they will surely be expensive, I didn’t know that they will be forbiddingly costly! 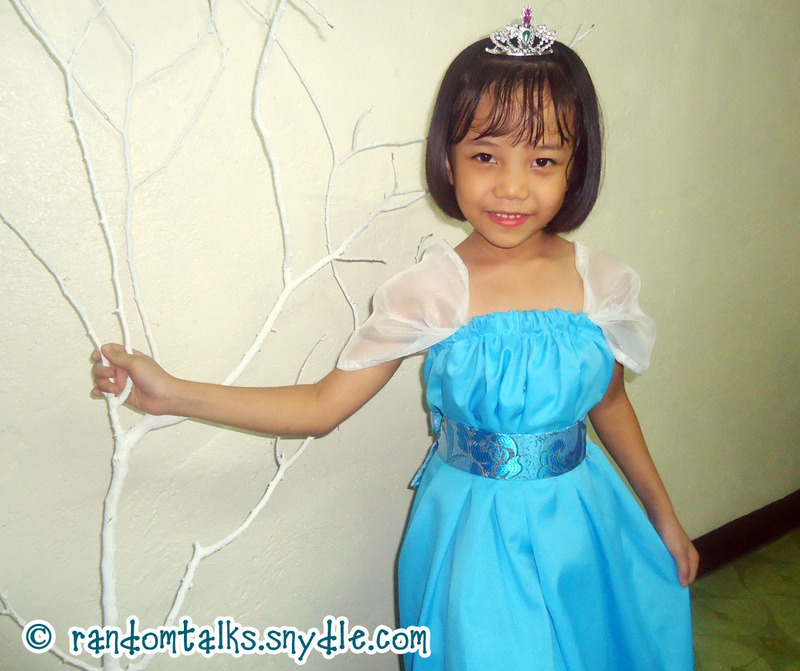 So I decided to make my own version of Elsa-inspired gown also. It just has to be turquoise or powder blue, right? So I bought a cheap window curtain with that color. It comes with embellishments that I used as the “belt” for the gown. I folded the curtain in half, put an inch-wide garter on it and sewed by hand. Let the kid put it on and secured the waist with the embellishment. Not bad for non-sewing girl like me. I spent less than $5 on this gown (3.50$ for the curtain, few cents for the garter and some for the threads and glitters). And now, the whole thing is set up. 11 hours to go before the big day! 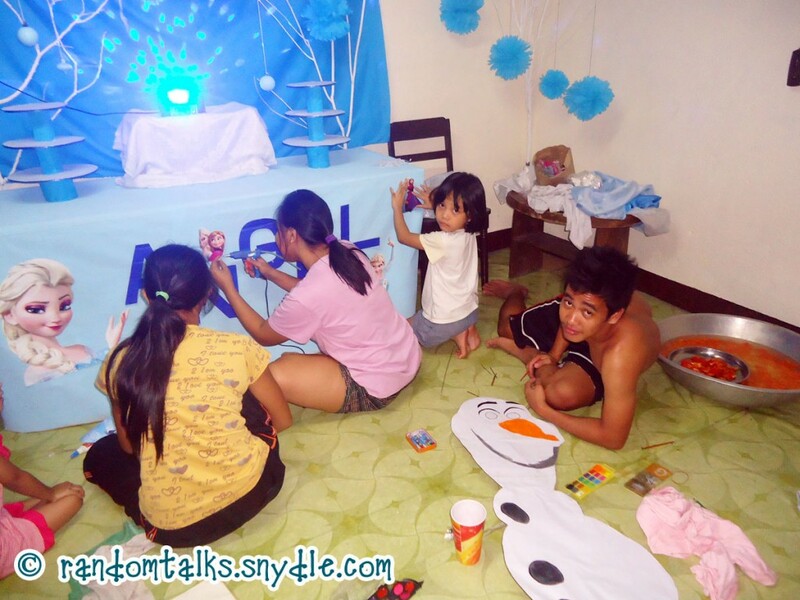 FROZEN BIRTHDAY PARTY: THE BIG DAY! 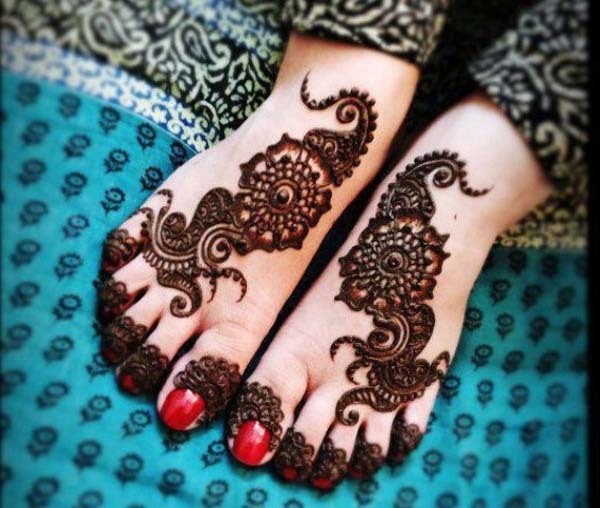 Then the big day comes! 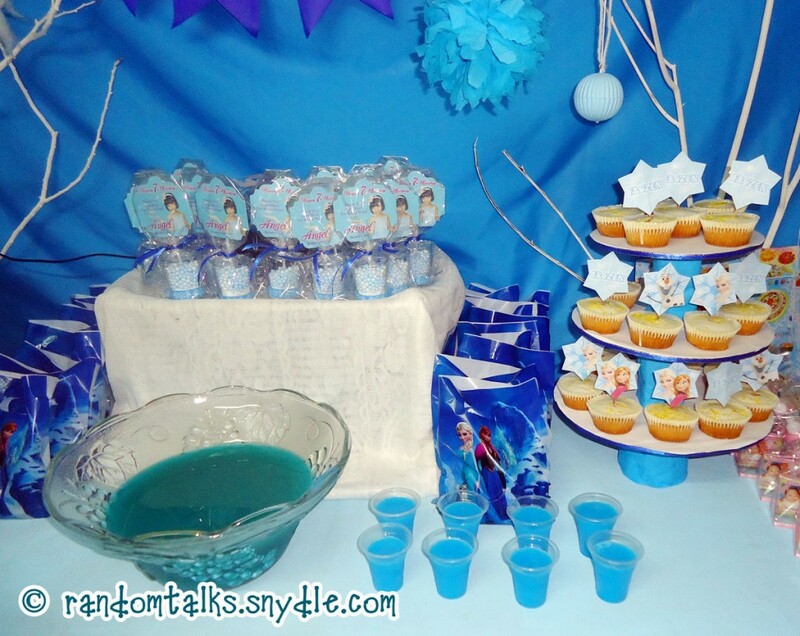 I put all the foods I prepared the other night and set it up in our Frozen-inspired table setting. I just bought a couple of packs of cupcakes from the stores. Since I don’t know where to buy or how to make frosting, I just choose the ones with white toppings on them. 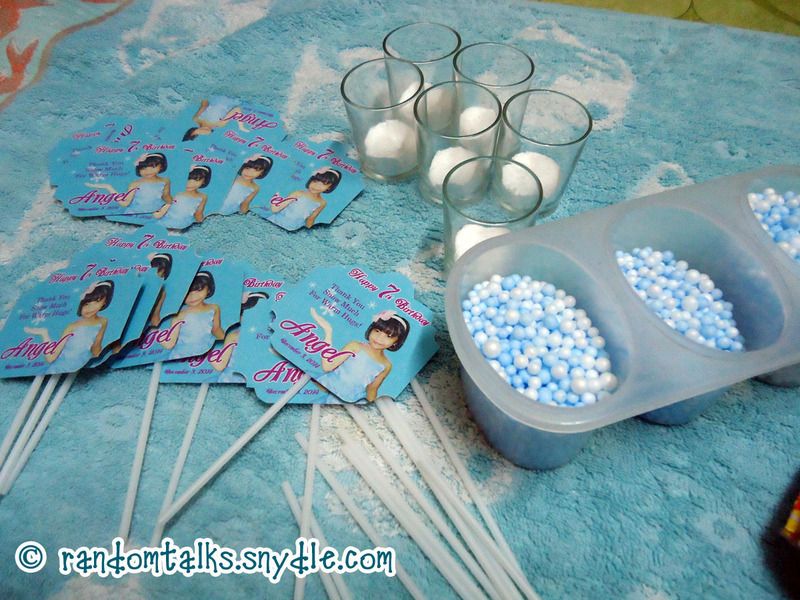 And here’s the final setting for the party favor. 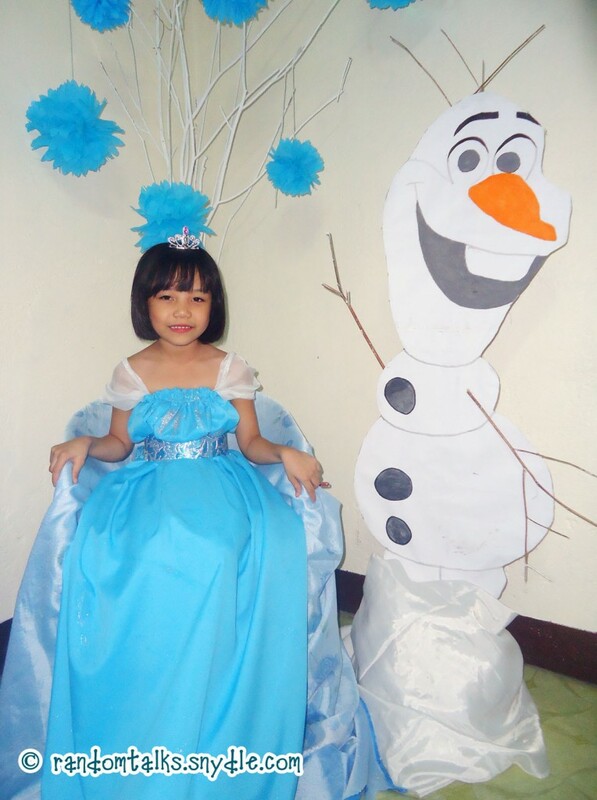 Seems like my princess Elsa is a little bit shy in front of the camera. 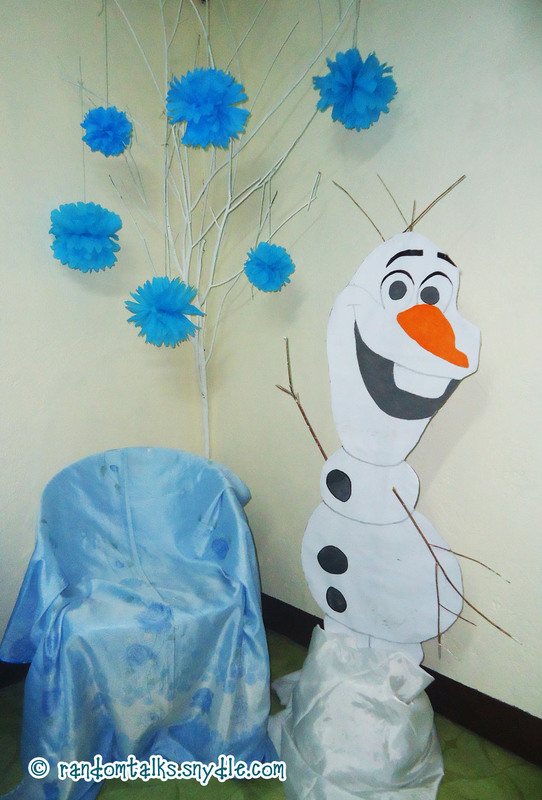 And Olaf welcomes the guests with big smiles. More food upclose… Oh and that’s not all the food we prepared for the party. 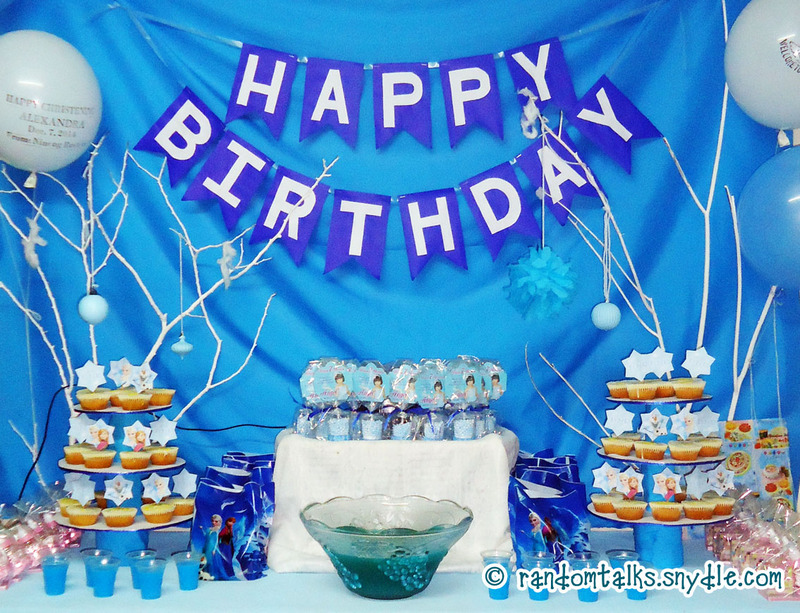 In my country, most birthday party includes spaghetti, noodles, fried goodies, etc. And since they’re a little bit off-colored (not suitable for the theme), we just set up separate table for them. 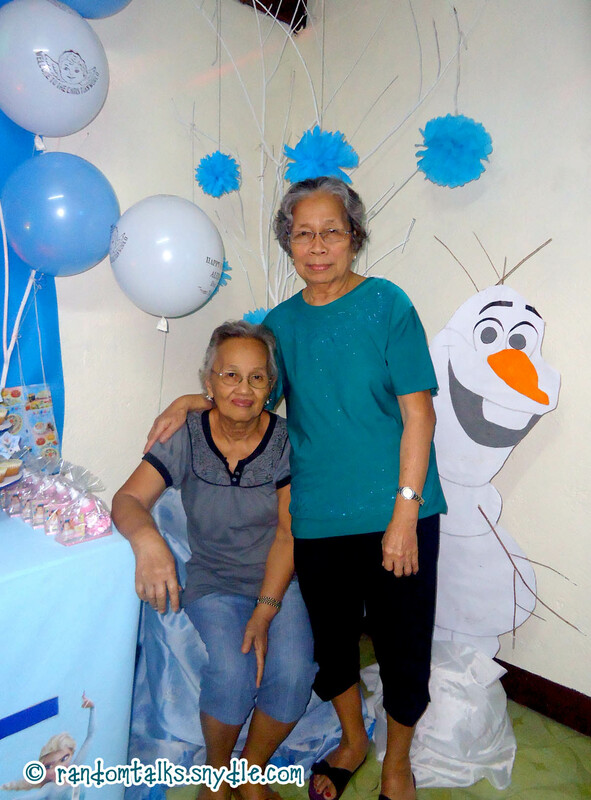 And here’s my two grandmothers, having a mini photoshoot in our mini photobooth. 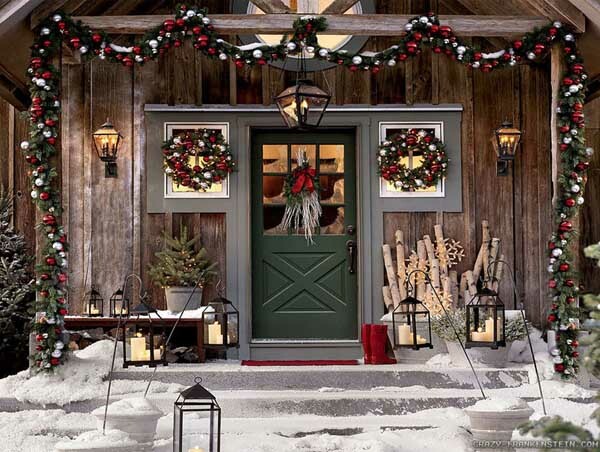 Breathtaking Outdoor Christmas Decorations For Some Holiday Cheer!